I highly recommend this cleaning company. I will definitely use them again. They took well care of me. They went above and BEYOND while cleaning all of our hard surface floors and upholstery. They did a very thorough job throughout the entire building, and were extremely professional and polite throughout the entire process. Best of all, they're very affordable! We would highly recommend their services to anyone. 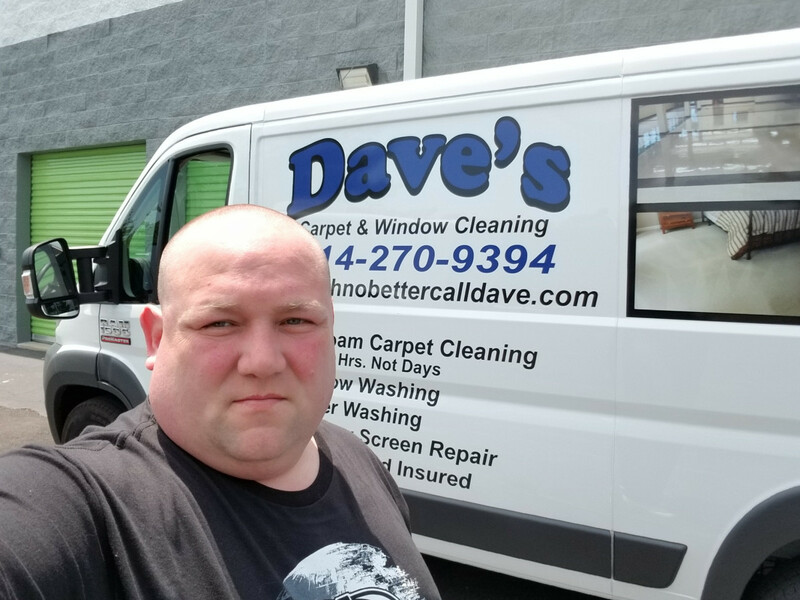 In June, 2018 we use Dave's for window cleaning and were very satisfied with their work. Last week we again use Dave's Carpet & Window Cleaning to clean and shampoo our rugs on the upper level and stairs. This is a great company. They do excellent work and very professional. I will and have recommended them to several of our friends and most certainly use them in the future. I was so impressed with the job that Dave and his crew did for our window cleaning that I scheduled him back for the carpets the next week. Very professional and they did an amazing job. My carpets came out so clean and smelling so fresh. There is no question that I will be using them in the future. Thank you Dave and company. Great company has been around for 11 years. Has same day service opportunities. Very inexpensive. We had a stain from furniture dye in our living room. They got it right out! 10/10 would recommend to family and friends. Thanks Dave! Great customer service. Very knowledgeable. Dave is awesome! I will definitely use them again soon.